Well... I'm up with some creativity today, inspired by my friend Rita Barakat and her stickers. Can you spot the one I used ? 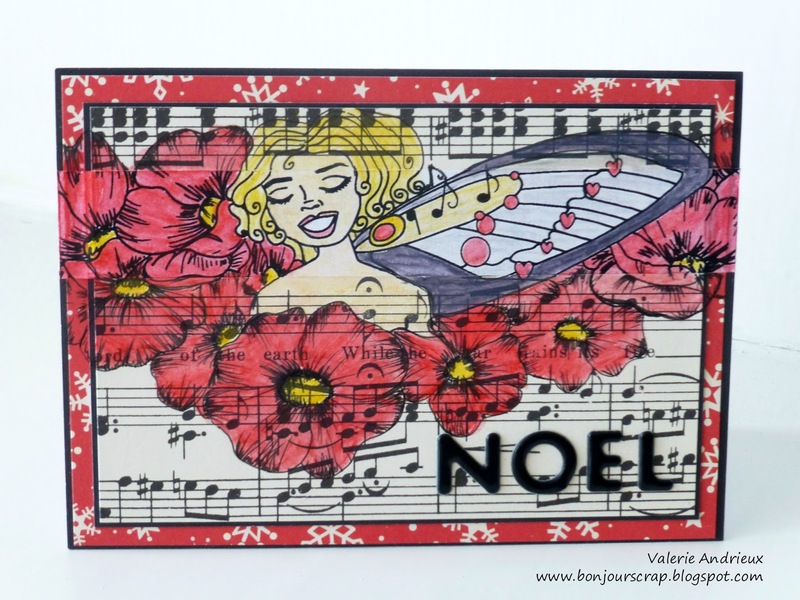 This sticker is a journaling tape decorated with one of her fairies. I draw around the sticker to create a wider decor on my card, and paint all with watercolors. Papers used on this card are from the October Afternoon kit I used before, and sentiment is written with black epoxy alphas by Sticko. I hope you like this one of a kind Christmas card ! I'm so glad you stopped by today ! May I have the pleasure to see you tomorrow too ?